3 Ajaw 13 K’ank’in. 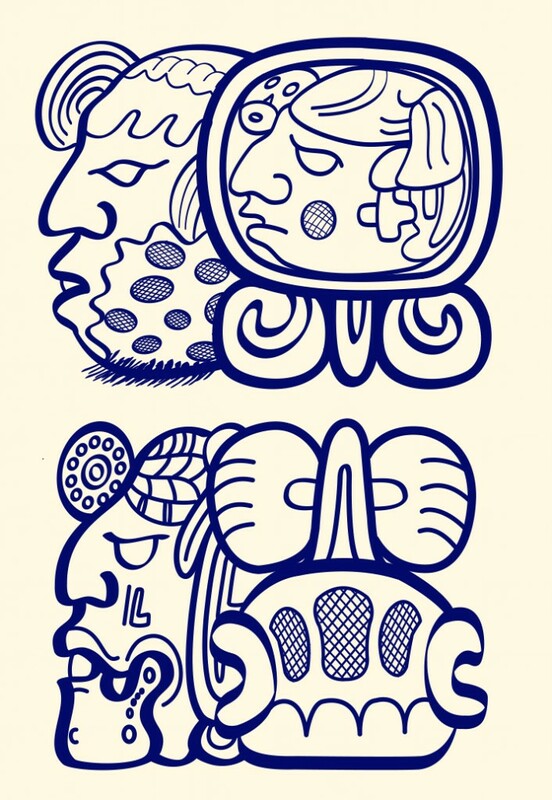 Drawing by Jorge Pérez de Lara. 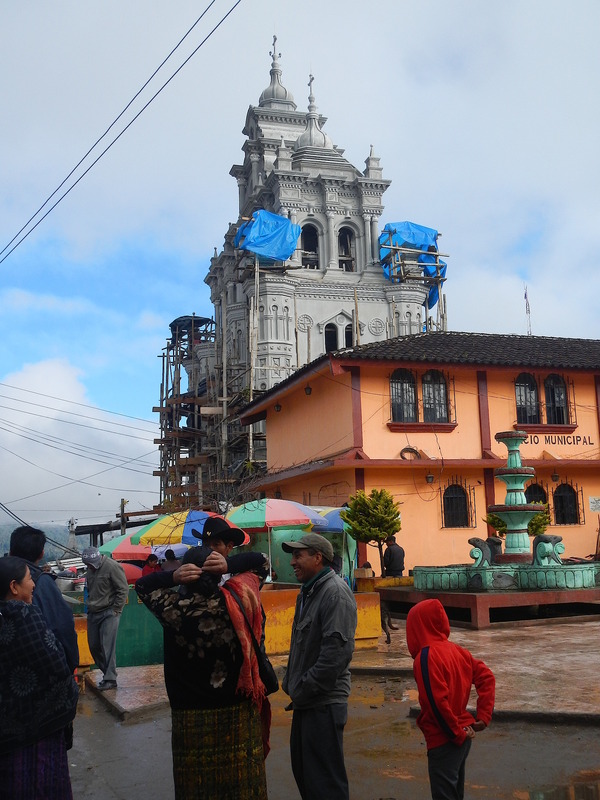 Jolom Konob’ (Santa Eulalia) in northern Huehuetenango is one of the most important towns of the Q’anjob’al Maya nation. It is also one of the most distant points in the Highlands that one can visit from Guatemala City, more than ten hours by car in the heart of the Cuchumatanes Mountains. View of the church and central park of Santa Eulalia. 9 Ajaw 13 Mak. Drawing by Jorge Pérez de Lara. 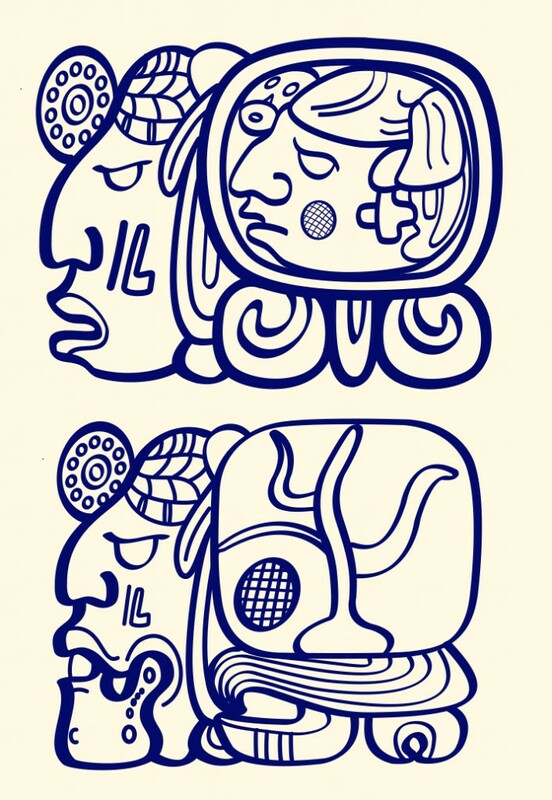 Given by Iván Jiménez, Daniela Cano Chan, and Atilano Ceballos (these three were participants at the Second International Congress of Maya Epigraphers in Ocosingo, Chiapas). 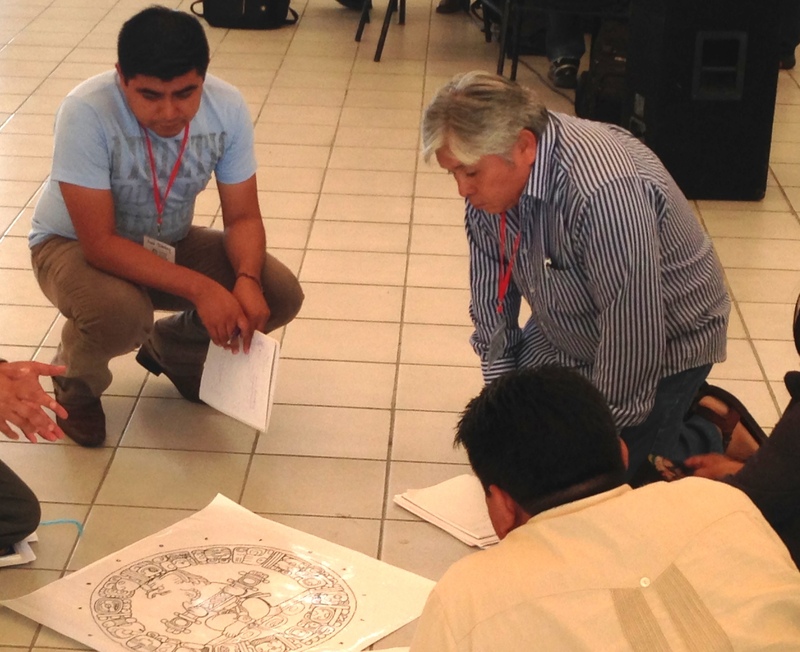 Iván Jiménez (on the left) and Atilano Ceballos participating in the Second International Congress of Maya Epigraphers in Ocosingo, Chiapas.